How can I share programs as mobile apps? 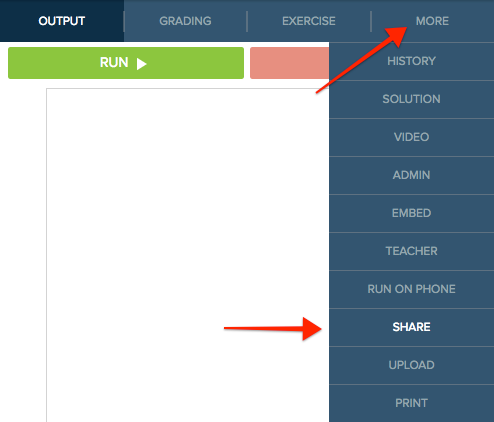 If you are finished working on a program and want to save or share it with others, navigate to the Share tab and click "Publish." 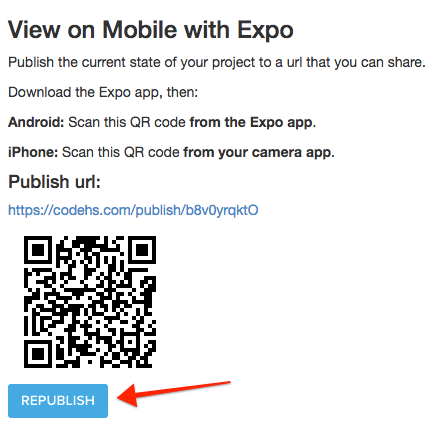 Publish creates a CodeHS URL and a QR code that can be shared with others. The link created by clicking "Publish" works even after you exit the program on CodeHS. You, and anyone you share the link with, can either go directly to the link in a mobile browser or scan the QR code below, and a page for the project will open. 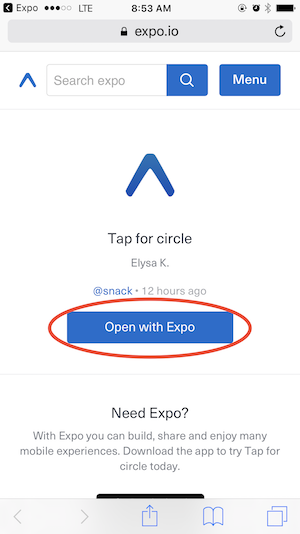 As long as you have the Expo app, you just need to click "Open with Expo" to view and interact with the program on your phone. If you change your program in the editor and want to update this mobile app version, you just need to click "Republish." The CodeHS URL will remain the same, but the QR code will change.